I was asked to write an article about how our Partnership ‘connects us - the MATE churches and the world’ - for the Summer 2008 "MATE Matters" newsletter. This is one of those nebulous requests that can be interpreted in many ways. It made me think about the much larger impact this Partnership has made than just the direct benefits of the various projects we continue to pursue in Macfarlan. I discovered we do have interesting connections with the world around us – past, present and future. Winnie's home garden - Feb. 2008. Tim Wigley is talking with Bonnie and Joanne, and Winnie and granddaughter Phelo are looking at her poor pooch who is nesting there. Bonnie and Patricia Peters with Ernest Jwambi in Patricia's garden. Note the excellent mulching job, and the healthy, green plants. For example – through our work with a Natural Farming expert - Tim Wigley - who we “found” on our November 2006 trip, many unexpected and wonderful consequences have resulted that have “connected” our Partnership with Mother Theresa [“WHAT?” I hear you say] and with the rich history of the American Indians [“WHAT?” – again!]. Let me explain. “The issue of affluent people wanting to help less affluent people is very challenging. So often the outcome is so different to what was intended. It is so easy to create dependency and or resentment on the part of those being "helped" and disappointment and resentment on the part of those offering the "help." I have over the years given this matter a lot of thought. I think that the essential element is LOVE. I mean real love that inspires and gives a clarity of awareness; an awareness of our own motives and an awareness of the "other" unclouded by our own "stuff" (guilt, shame, a sense of ought to, etc.). The best example of this I have witnessed was about 20 years ago when I had the privilege of showing Mother Theresa around a shack area in Duncan Village in East London. The conditions there at the time were truly appalling, and I had taken a number of groups there to see what at the time I regarded as one of the worst examples of the horror of apartheid. Well, all Mother Theresa could see was how creatively the people living there were coping with the adversity they faced. It was no act; her face literally lit up as she remarked with real awe on how creative the people there were. So in a way, we have a very positive connection to Mother Theresa, and a glimpse of her profound love for the human spirit. We also see the impact she had on Tim Wigley. This same love was very evident in the project Bob Bull ‘appointed’ himself to lead within our Partnership. In addition to his many other interests, Bob was an avid home gardener, and he specialized in utilizing American Indian farming techniques and especially using Heirloom Indian seeds. Bob's email address was "TallPineBull" - a tribute to his Indian heritage. In the last two years, Bob sent to Tim Wigley hundreds of packets of heirloom seeds worth several thousand dollars. Some were seeds he harvested from his own garden; many he received from seed suppliers with whom he had a long history. 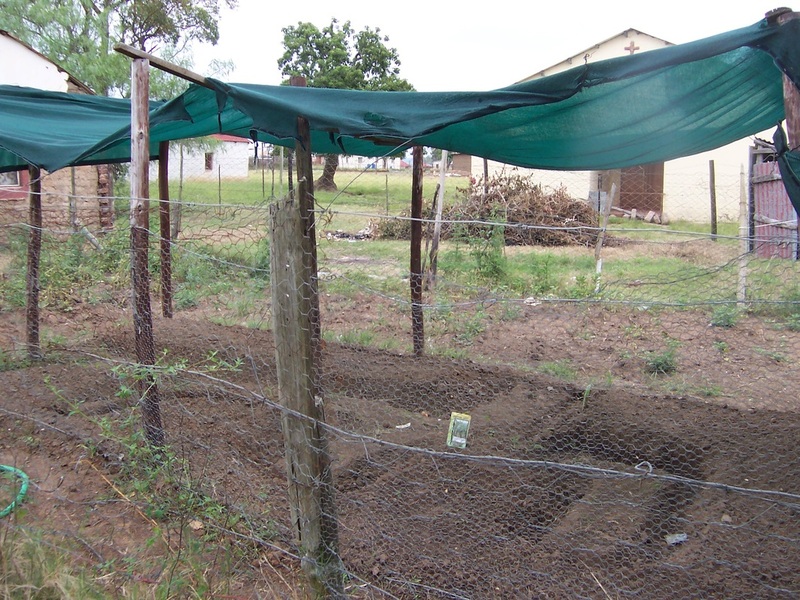 Seedling nursery on the grounds of Winnie's home. Training in 'permaculture' farming by Heifer International-SA, Natural Farming by Tim Wigley, and seeds provided by Bob Bull. had 37 different vegetables – all grown in his garden. 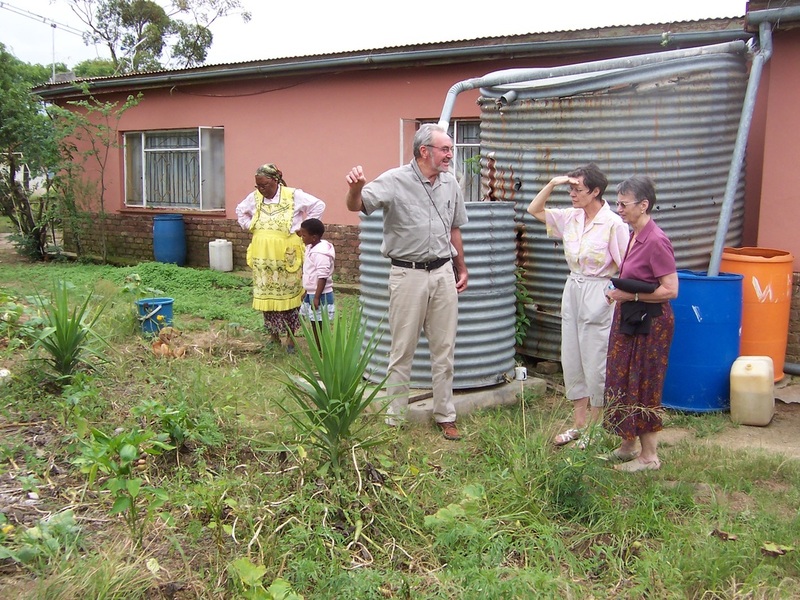 On February 17, MATE hosted a celebration at the home of Ernest and Patiswa Jwambi in Upper Ncera – and the center piece of this party was vegetables grown by the women in their home gardens, many taught by Tim Wigley, using vegetable seeds of varieties that have been planted by the American Indians for centuries – thanks to Bob Bull. How awesome does it get? "You mention Bob Bull. What a wonderful man with such a generosity of spirit, his spirit epitomises what is needed to make this planet Earth, our home, the beautiful abundant place it is meant to be! I was very grateful for the seeds he sent and distributed them quite widely in Winnie's area as well as in the area around Cala where I was working at the time. 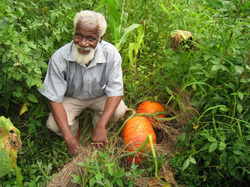 Attached is a picture of Mr. Yolelo in his garden in Cala Reserve. You can see some of the beautiful Hopi pumpkins produced from Bob's generous donation of seeds. In Cala there is now a strong tradition of seed saving so I am sure some of the heirloom seeds are still being passed on there." Bob Bull, Mother Theresa and Tim Wigley have given us much to think about regarding how we can “help” others. This is an issue our Partnership needs to review often – are our actions producing the intended results, or more importantly, unintended consequences? Are there more effective ways to empower and liberate, rather than causing more dependency? This tiny Partnership effort – between two small rural congregations in distant lands – has produced connections I never contemplated. And it is good. 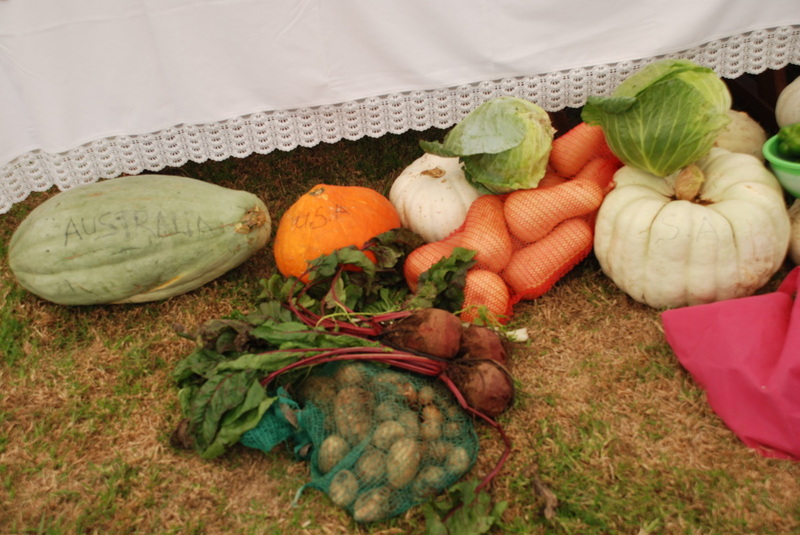 Sampling of produce - Australian, USA and RSA pumpkins, plus other vegetables.